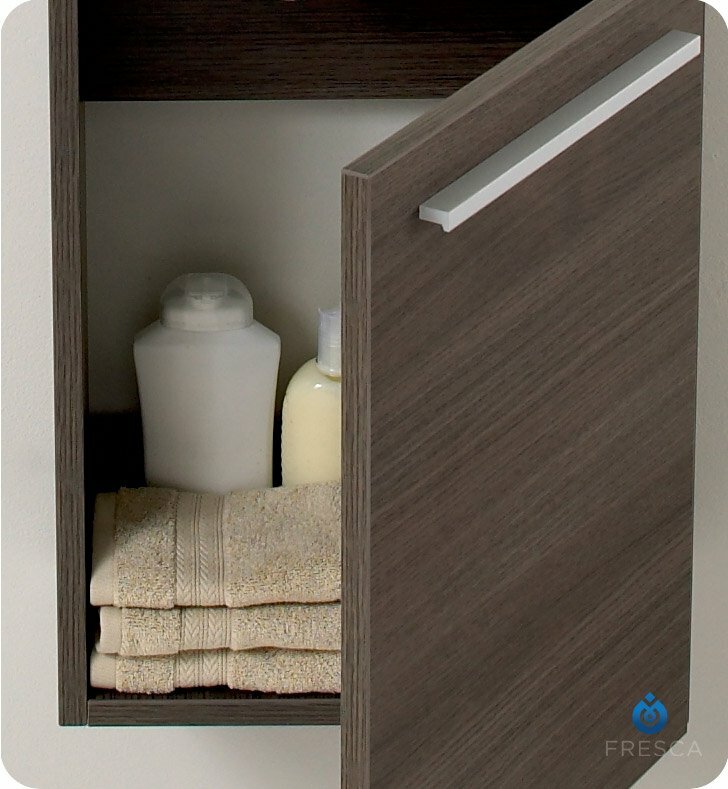 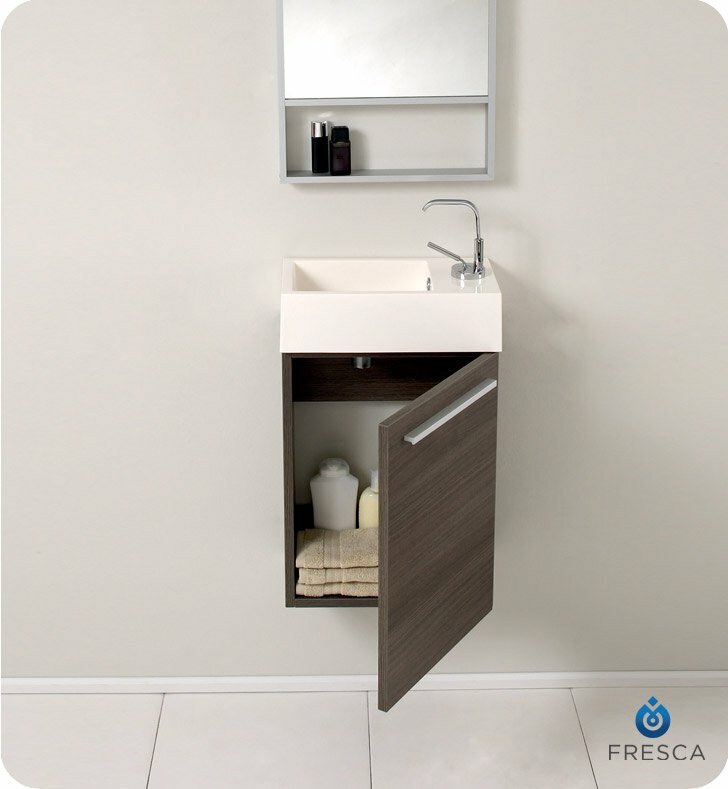 Sleek, compact and contemporary, the Fresca Pulito Gray Oak Modern Bathroom Vanity, model FVN8002GO, adds a lot of style to small powder rooms. 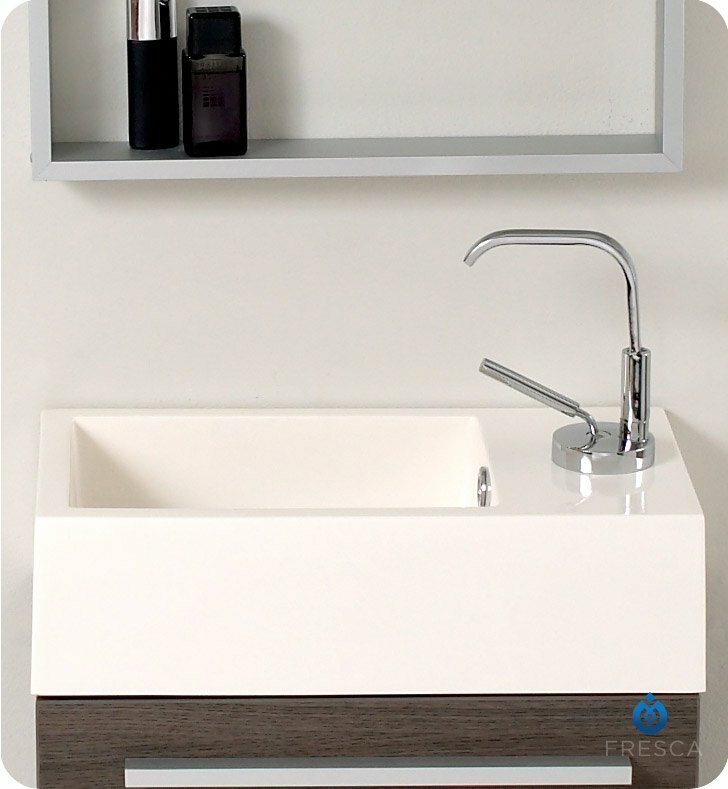 The floating design saves valuable floor space.This wall-mounted small bathroom vanity features a horizontal integrated sink with a solid brass, chrome-finished single-hole faucet. 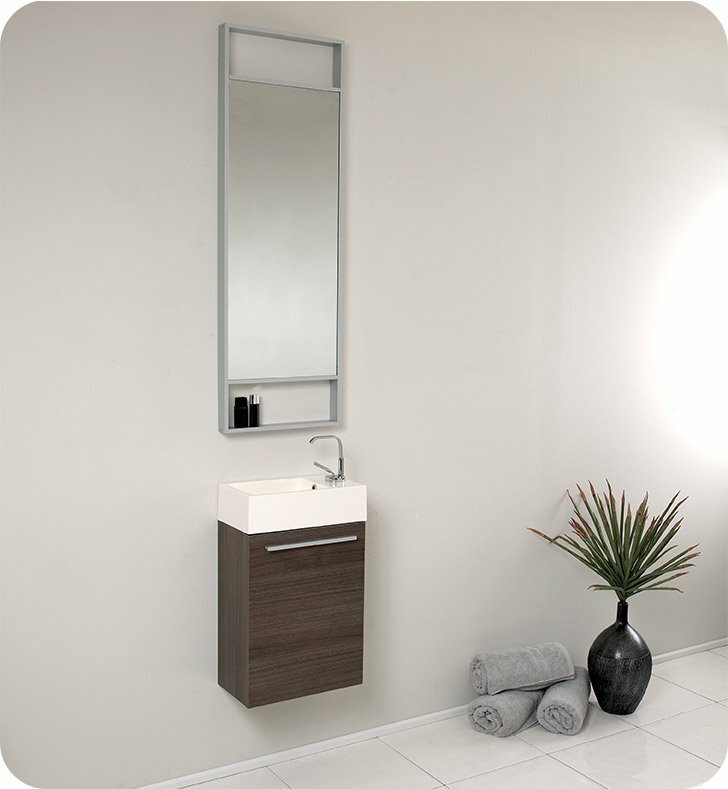 The vanity's wide cupboard offers linen storage, and the tall mirror has a small shelf for holding personal items. 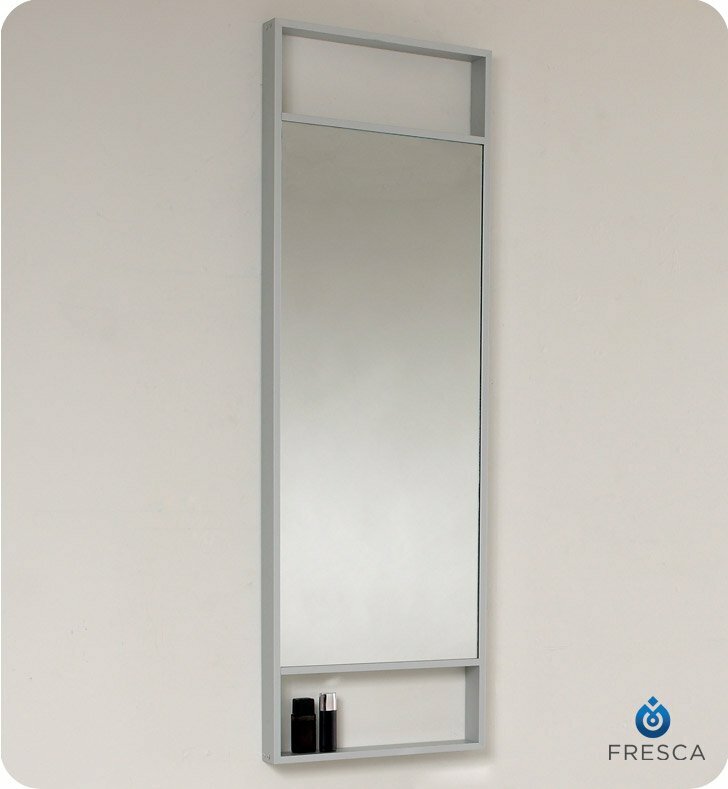 Vanity: W 15 1/2" x D 8 1/2" x H 24 3/4"
Mirror: W 15 3/4" x H 47 3/4" x D 2"